Our fifth Tweetchat 'So good to be involved: PPI in research' took place on Wednesday 25th May. 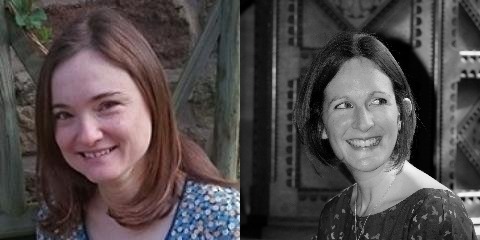 We were delighted by the reach of the chat, hosted by Dr Rebecca Palmer and Dr Emma Pagnamenta, with 37 participants sending 482 tweets that were delivered to 728,787 linked accounts. We were particularly pleased by the interdisciplinary nature of the chat and the involvement of #whywedoresearch. Thank you to everyone who contributed and followed the chat. Patient and public involvement (PPI) is promoted at all stages of research, with everyone having a right to be involved. However, the high level of communication skills often required precludes the involvement of people with communication difficulties. We began the chat by sharing examples of how patients/service users are being involved in research. Many different ways of involving patients and the public were shared. These ranged from advisory groups, inputting to study materials, giving research ideas, using video conversation, observation, focus groups and art projects. Some projects have trained people with communication difficulties to be interviewers. There was agreement that PPI needs to happen from the very start of the research process. As stated during the conversation - if we don't involve patients in design how do we know we are researching what is needed? A discussion took place about the similarities between PPI and use of co-production methods in research. It was suggested that co-production of new interventions or assessment tools etc could be part of a PPI group role. The benefits of involving our services users can be profound. Contributors to the chat talked about better quality research - research running more smoothly, greater insight into needs and priorities and a greater commitment to the research. There are benefits beyond the research itself, with PPI giving opportunities to practice conversation skills, an opportunity to be listened to, social time and support for carers. But PPI is not without its challenges. Patients need support to engage with the research process, form transport provision and flexibility in location and timing to strategies to support communication and support with waiting for AAC users to respond. Research needs to be explained in accessible terms. There needs to be an acceptance from the researchers that their needs and patients needs and priorities do not always match. Advice was shared to overcome some of the barriers to PPI such as applying to local NIHR Research Design Services for funds to cover transport expenses or building in these costs from the outset. Flexibility and being adaptable were also discussed. An important theme from the discussion was the investment in building relationships, maintaining these and giving back when participants need advice. @EmmaPagnamenta @RPalmerSLT #ResNetSLT When we get it right for people with communication challenges - we get it right for all. Reflections on participating in the research group were elicited through videoed interviews. You can see some of the interviews in this film. Harrison & Palmer (2015). Exploring patient and public involvement in stroke research: a qualitative study. Disabil Rehabil, 37 (23): 2174-83. View this film from the CACTUS Aphasia Research Group. Read Chris Welburn's first hand account of being involved in shaping aphasia research as a person with aphasia. INVOLVE hosts a research library on public involvement, a 'Putting it into Practice' database and other resources.